The Buddhas do but tell of the way; it is up to you to swelter at the task. In addition to the +150 research studies I’ve read in preparation for a research project of my own and in preparation for writing The Practice of Practice, I’ve also read (and re-read in many cases) most general audience books out there on practice. I was excited to get this new addition to the bibliography; it’s by Gerald Klickstein, and and it didn’t disappoint; it’s one of the best, hands down. Klickstein is a classical guitarist who performs throughout the U.S. and internationally and is a professor at the University of North Carolina School of the Arts. My favorite 2 aspects of the book are the well-chosen quotations sprinkled throughout, and the use of solid research to inform and back up what Klickstein puts forth. The bibliography is solid though not comprehensive. 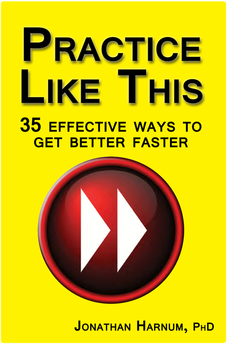 The book covers the nitty gritty of practice and includes concrete things to actually do, which mostly means strategies for excellent practice, but there are other worthy tidbits, too. The second section of the book is all about performance and the strategies you can use to include performance as another aspect of your practice. Klickstein also covers aspects of the body that are important to good practice: physical warm-ups, injury prevention, resting. The final part of the book covers injury prevention and valuable advice for the student. More specifics on each section are below. This section is organized to reflect Klickstein’s method of organizing practice. There is basic introductory stuff like definitions, creating a great practice environment, planning and scheduling and Klickstein sets up his method, the “Five Practice Zones” (new material, developing material, performance material, technique, musicianship). Each following chapter is something of an elaboration of these zones. At the end of the first chapter is an excellent guideline for a warm-up. Included in following chapters are tips and strategies for memorization, problem-solving, interpretation, skill maintenance, mental imagery, motivation, and evaluation. The final chapter of Part I deals with collaboration which for Klickstein means playing in ensembles. Everything you might expect is in this section, from preperformance routines to developing stage presence, to dealing with nerves, performance glitches and how to deal with them and concert design. Again, to help you organize your thoughts about this important aspect of music-making, Klickstein reveals his 5 facets of performance: artistic, technical, mental/emotional, physical, and organizational. He includes some helpful information about highly stressful performances such as auditions and competitions, too. The first two chapters of this part deal with injury prevention, something important to consider when we’re repeating actions over and over for long periods of time. Repetitive stress injuries are common among instrumentalists and Klickstein introduces us to ways to prevent these through posture, good planning and hearing protection. The most valuable chapter in this section however, in my opinion, is the final one, titled Succeeding as a Student. It’s filled with excellent advice for students of any age or level and includes strategies for choosing teachers, dealing with fair and unfair criticism, building community and good advice to general approaches to being a musician. It’s difficult to find any fault in the book, and I think anyone will find something valuable within its pages. I have only a few mild criticisms. 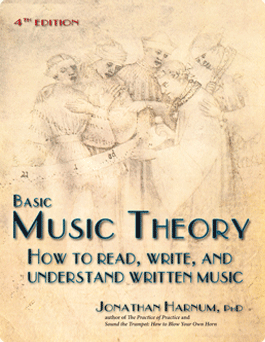 The book’s approach is solidly centered in the Western art music tradition (what most of us call classical music) and doesn’t really stretch those boundaries to include other traditions. Though he mentions some other genres–mostly jazz–the perspective Klickstein speaks from is limited. Thankfully, solid practice advice transfers to nearly any type of music; but if you’re interested in playing dunun in a West African drum ensemble, drum kit in punk rock, or perhaps using the computer as an instrument, many of the musical examples won’t help you much and some of the techniques simply don’t apply. In his defense, Klickstein’s target audience isn’t those folks, of course; it’s academically trained musicians. This relates to another minor point worth noting: the musical notation examples are fairly sophisticated and require good note-reading skills. Again, this isn’t really a criticism given who the book is meant for, but for those less able to read music, this could be a stumbling block. A final shortfall of the book for me was the lack of inclusion of information about some of the many tools that can help with practice. There’s great information on metronome use, and the excellent advice to record yourself for assessment, but no details about equipment, software, web resources, or other technological tools. These are minor concerns overall. 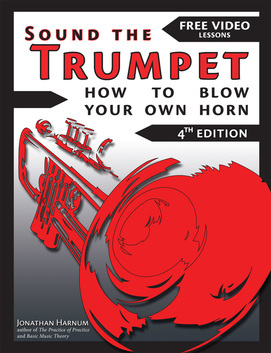 As a whole, this would be a most excellent book to add to your collection if you’re interested in practicing more efficiently. Very highly recommended. Have fun, and good luck with your practice.